SAN RAMON, Calif., August 29, 2018 – Eating on the job? A recent study has determined that a considerable amount of workers in America consume food and drink acquired from work and that the food and drink they typically get do not coincide with general dietary guidelines. People are gaining weight because of the food they eat at work. Financial Education Benefits Center (FEBC), a membership benefits company, offers discounts on groceries that may help members better prepare for the workweek’s nutritional needs. The study, presented by Dr. Stephen Onufrak at the Centers for Disease Control and Prevention, was based on a survey of over 5,000 employees working in America. The USDA Food Acquisition and Purchasing Survey (FoodAPS) compiled the data over a seven-day period. They assessed how often employees eat food from work (either free or purchased) according to demographic categories, the number of times employees acquired food from work, the most common foods people eat at work and the dietary qualities of those foods. Everything you choose to eat represents a bunch of things you chose not to eat. What's tough is that people are obviously responsible for their own choices, but also that those choices can be shaped by the environment. The resulting information shows a workplace contributing to the nutritional missteps of its employees. According to the survey, 22 percent of the workers got food or drink at work with the average calorie intake of nearly 1,300 calories a week per person. Of those workers, 45 percent had three or more food or drink items during the week. The most common foods obtained by these workers included foods with high levels of fat, added sugar and sodium. 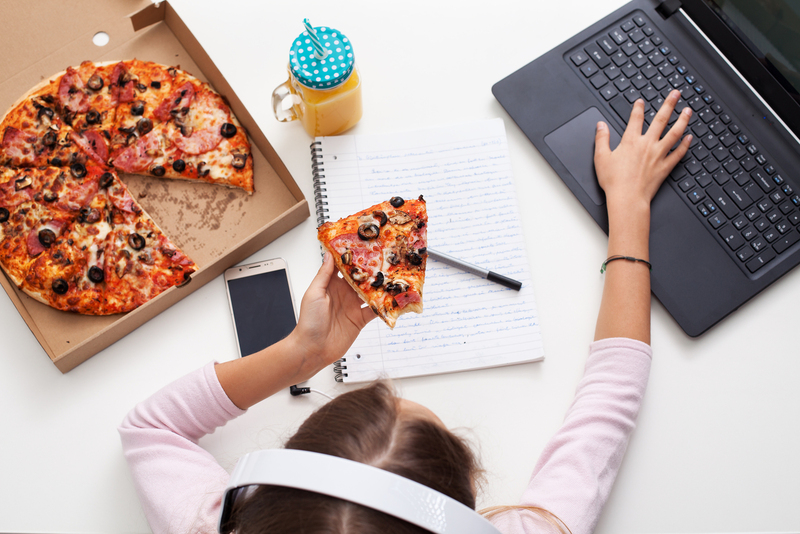 The most common foods and drinks consumed at work, the study concluded, are pizza, soda, cookies or brownies, cakes or pies, and candy. “What this shows me is not just that people are sometimes eating poorly at work, but that employers have room for improvement. Offering better nutritional choices could be a recruiting tool or could help keep employees healthy,” Martinez commented. Possibly the best way to oppose the potential downfalls of eating food from work is to shop wisely for groceries that can provide a healthy and enjoyable meal in the middle of the day. With FEBC’s member benefits, discounts on groceries can help alleviate some of the upfront costs of revamping a refrigerator’s contents. Some members will be able to speak with certified medical professionals about nutrition choices. While these benefits are not insurance nor intended to replace insurance, they can offer additional resources that should help a person provide a more nutritious lunch during the workweek.